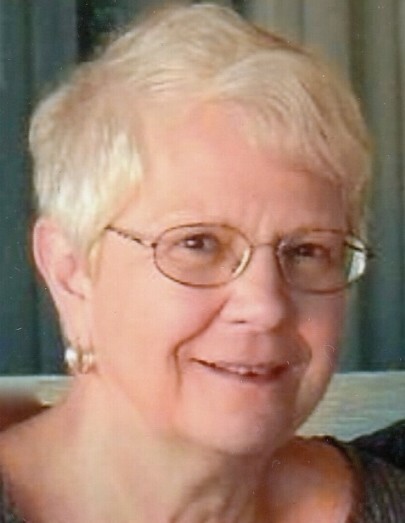 Janice “Jan” Marie Biller of Warsaw, Indiana passed away at 12:00 noon on Saturday, January 19, 2019 at Miller’s Merry Manor of Warsaw at the age of 72. She was born on October 24, 1946 in Elkhart County, Indiana to Verda (Mikel) Wise and Raymond Wise. On July 10, 1964 she was married to Steven Biller, who survives. Jan was a 1964 graduate of Nappanee High School and has lived in this area for the past 55 years. She was co-owner of Argonne Rental in Warsaw with her husband Steve, a homemaker and a member of Leesburg Grace Brethren Church in Leesburg, Indiana. She will be remembered as a loving wife, mother and grandmother…she will be dearly missed by her family, church family and countless friends. She will be lovingly remembered by her husband of 54 years, Steve Biller (Warsaw, Indiana); two sons: Todd (Sara) Biller (Milford, Indiana); Trent (Ruby) Biller (Winona Lake, Indiana); daughter: Traci (Tom) Drummond (Danville, Indiana); and eight grandchildren: Kelli, Jocelyn, Justin, Briana, Devin, Rebecca, Jonathan, and Brielle. Also surviving is her brother: Merle “Butch” (Diane) Wise (Nappanee); two sisters: Betty “Bets” (Dave) Hahn (Nappanee); and Barb (John) Kindig (Goshen, Indiana). She was preceded in death by her parents. Visitation will be held on Tuesday, January 22, 2019 from 2:00 – 4:00 p.m. and 6:00 – 8:00 p.m. at Redpath-Fruth Funeral Home, 225 Argonne Road, Warsaw, Indiana. Her funeral service will be conducted at 10:00 a.m. on Wednesday, January 23, 2019 at Leesburg Grace Brethren Church, 101 W. School Street, Leesburg, Indiana and officiated by Pastor Tim Sprankle. Burial will follow with a graveside service at Leesburg Cemetery in Leesburg, Indiana. Memorial donations in Jan’s memory may be directed to Harbor Light Hospice, 1820 E. Day Road, Mishawaka, Indiana 46545; or to the Kosciusko County Community Foundation, Inc., designated to “Kosciusko County Riley Kids Fund”, 102 East Market Street, Warsaw, Indiana 46580 and would be appreciated by the family.